COLA Locality Pay Transition | What Does It Mean For You? The COLA Locality Pay transition is in progress. It started in 2010, and will be complete in 2012. We’ll discuss the transition, and what it means to you as a Federal employee. We’ll also cover the likely tax consequences, and what it might mean to your Federal Retirement plans. As Locality Pay is being phased in, COLA is being phased out (down, really). There is a special formula for how much COLA is ‘left over’ each year. Instead of just giving one example, I’ve done the math for each of the different non-foreign areas. I’m hoping this makes it a bit easier to see how this transition affects you. I teach CSRS and FERS pre-retirement classes in Anchorage, Alaska (where I live and work). In class, I still get lots of questions on COLA and Locality Pay. They understand parts of the COLA Locality Pay transition – and they know that it affects their retirement. Many Federal Employees don’t realize that the COLA Locality Pay changewill impact on their take-home pay now. And it also affects your tax bill right now. With all that in mind, let’s answer these questions. We’ll talk about how the COLA Locality Pay transition will affect you now, and in federal retirement. We’ll discuss each of these points in more detail. First, let’s start with how is affected by the Federal COLA Locality Pay adjustment. The COLA Locality Pay Adjustment affects current Federal Employees*serving in Alaska, Hawaii & the US Territories (listed above). …and it could affect your Retirement plans…as there are special rules for Federal employees who retire during the transition. *Most Postal Employees will not be eligible to receive Locality Pay,and will continue to receive COLA (if they were eligible). The primary exception is for Postal Inspectors and employees of the Postal Service Office of Inspector General; they *will* have their COLA transitioned to Locality Pay. Other Postal employees like letter carriers mail handlers and postal supervisors will continue to receive COLA at the ‘frozen’ 2009 rate and are not included in the transition to Locality Pay. **Also, there is a limitation in the legislation that your base pay + the locality you receive can not exceed the rate of basic pay payable for level IV of the Executive Schedule (approx $155,000). There are a few exceptions, which are listed in section 5304(g) of title 5 of the US Code. If this is your situation, you would receive Locality only up until you reach the limit… then you would receive a portion of COLA. The Non-Foreign Area Retirement Equity Assurance Act of 2009 spelled out the transition from COLA to Locality Pay. Over three years, 2010, 2011 and 2012, COLA will be phased out (or down) and Locality Pay will be phased in. Why not just do it all at once? #1) It was going to take time to establish new Locality areas and determine their Locality rates. #2) Locality Pay means higher taxes, and a 3 year timeline makes the impact a bit easier to stomach. Non-Foreign Area COLA is designed to offset a higher cost of living for Federal Employees serving in specific geographic areas. NFA COLA is Tax-Free. There are no Federal Income taxes, Social Security tax or Medicare Tax on NFA COLA. NFA COLA *is not counted* in your High-3 Salary for Federal Retirement. Locality Pay is designed to offset the difference between federal salaries and private sector salaries in a given geographical area. Locality Pay is Taxable. Locality Pay is subject to taxes as any other income would be; that means… Federal Income taxes, (State Income taxes), Social Security tax and Medicare Tax. Locality Pay *is counted* in your High-3 Salary for Federal Retirement. The COLA Locality Pay change in Non-Foreign Areas means that you’ll be paying more taxes now… but you’re likely to have a higher pension in retirement. 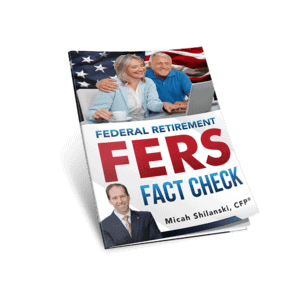 And if you’re close to federal retirement… this is actually a very good thing for you. For most of your career (if you served in an NFA) you got COLA tax free. The change from COLA to Locality takes place over three years. Below, I’ve made a little graphic showing the change over 2010, 2011 and 2012 (and beyond). You’ll see Locality Pay on top of the timeline, and COLA on the bottom. This graphic just looks at the nuts and bolts of the transition. First, 2009 COLA rates were frozen. The Frozen COLA rate is different for each geographic area, and figures into this formula. Second, RUS = Rest of US. It was going to take time to figure out the new Locality Pay rates. So for 2010, everyone affected would just get one third of the RUS rate. Third, there is a funny formula to determine your ‘left over’ COLA. I’ve left it simplified in the graphic. There is a special formula set out in the legislation that determines how much COLA is ‘left over’. Basically, the higher the Locality Pay, the lower the remaining COLA. Your left over COLA = (FROZEN COLA – (65% of the Locality you Receive)) divided by 1 + Locality you Receive(as a numeral). If this formula gives you a headache, don’t worry, I’ve done the math for each region for you. For specific COLA and Locality Pay rates for your region, see the pages for Alaska, Hawaii. Congress created the formula for ‘left over’ COLA to offset the higher taxes that would be involved with moving to Locality Pay. Remember that COLA was tax-free, but Locality Pay is *taxable*. So the more Locality Pay you get, the higher your taxable income will be… and the higher your tax bill will be. Congress stated that it was their intent that take-home pay *should not* go down. But *should not* is very different from *will not* go down. In almost every scenario I’ve run, take home pay goes down. How much it goes down depends on the Federal Employee’s personal situation. What Does this Mean For Federal Retirement? While your taxes will be going up now, so will your High-3 Salary. Your High-3 Salary is just one part of your CSRS or FERS retirement calculation. The higher your High 3, the longer you work, the higher your pension. COLA was not counted towards your High 3 Salary for Federal Retirement. But Locality Pay *is counted* in your High 3.